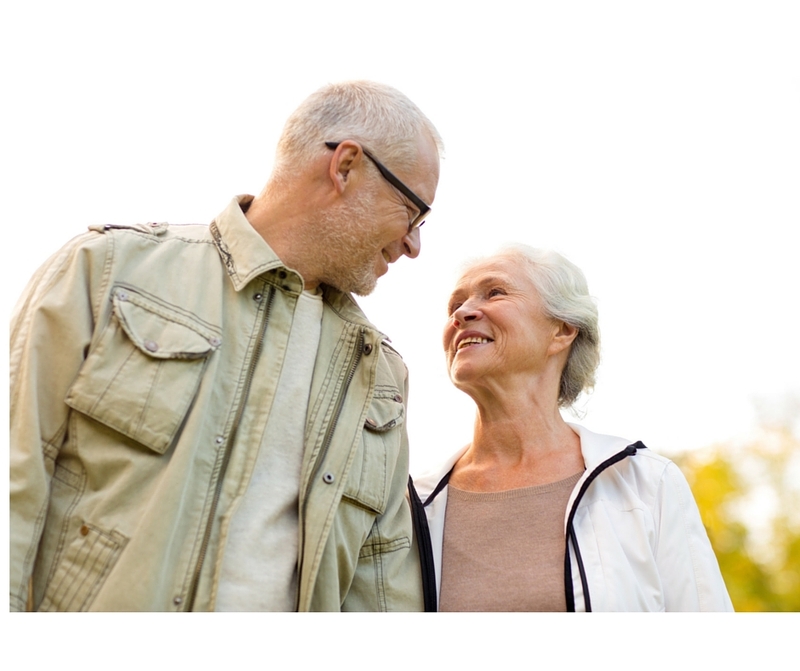 2015 Medicare Advantage & Drug Plan Open Enrollment is here! The Medicare Advantage & Drug Plan open enrollment runs from October 15 to December 7th in 2015. If you are age 65+ or disabled, you should enroll in Medicare A or B, and either purchase a Medicare Supplement with a Part D drug plan, or a Part C, “Advantage Plan” that includes drug coverage. If you do not purchase qualified drug coverage when you are eligible, you will pay a 1% penalty per month if you ever do purchase a Part D drug plan. This penalty would be assessed to you for the rest of your life. The penalty is 1% of the average cost of a national drug plan and is assessed monthly. For example, if you decide not to purchase a drug plan and three years later you need one, you would be penalized 36% per month. If you decide just to enroll in Medicare A & B and nothing else, you will be covered for approximately 80% of your medical bills with NO upper limit on your out of pocket expenses. For example, if you had a bill for $300,000, your cost share would be approximately $60,000. Please call William “Bill” Beck, our senior products expert at Beck Insurance Agency today at 419-446-2777 learn more about your options, rates, and to get enrolled. Posted in Blog | Comments Off on 2015 Medicare Advantage & Drug Plan Open Enrollment is here! Win Ohio State at Michigan Tickets & Help Charity! With the generous help of Safeco Insurance Company, Beck Insurance Agency has organized a drawing for a pair of free tickets to the Ohio State vs Michigan game on November 28 in Ann Arbor, Michigan. We will be selling a maximum of 350 tickets at only $15 each. 100% of the money will be split evenly between Sara’s Garden in Wauseon, and the Barton Twins – who were born premature at only 25 weeks gestation. For more details please click on their names above. Tickets can be purchased at Beck Insurance Agency, 120 N. Defiance Street, Archbold, Ohio 43502, Sara’s Garden, 620 West Leggett, Wauseon, Ohio 43567, or Joe Beck’s home at 10942 Springbrook Court, Whitehouse, Ohio 43571. Any questions please call Beck Insurance 419-446-2777 or Joe’s cell 419-572-9673. Posted in Blog | Comments Off on Win Ohio State at Michigan Tickets & Help Charity! Life insurance is a crucial step in planning for your future. Not only can life insurance provide assurance for your family if you are no longer around, there are life insurance policies that offer benefits while you are living. So how much life insurance is right for you here in Ohio, Michigan, or Indiana? Based in Archbold, Ohio (not too far from the Indiana and Michigan borders) Beck Insurance Agency understands the life insurance needs of our customers. The necessity of life insurance depends on your own personal and financial needs. • The cash value earned and borrowed from a permanent life insurance policy can be used to help with large expenses, such as a college education or down payment on a home. • The growth of a cash-value policy is tax-deferred — you do not pay taxes on the cash value accumulation until you withdraw funds from the policy. • Life insurance can be used to cover funeral expenses and pay estate taxes — consult your tax advisor for more information. The right coverage for you is unique, and often costs less than a cup of coffee a day – talk to us today at the Beck Insurance Agency: 419-446-2777, and find out how to protect your family and your future with the right life insurance. 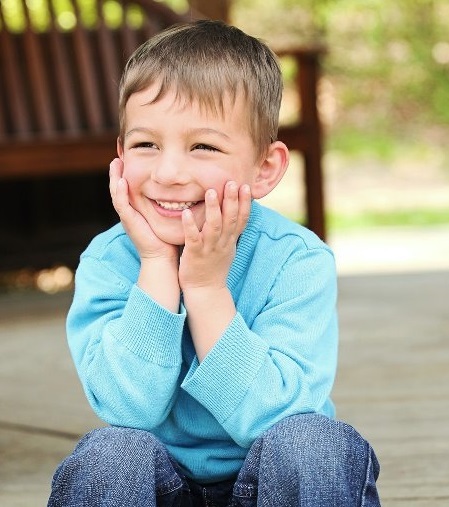 Posted in Blog | Comments Off on How Much Life Insurance is Enough? There’s no shortage of ways to get outside! Whether you’re hitting the trail, the links, or just the great outdoors, the last thing you want to worry about is whether your insurance policy has you protected. 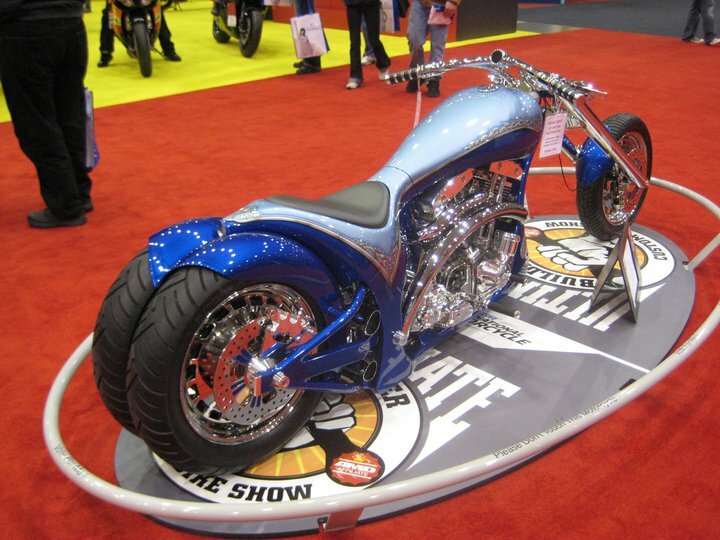 Beck Insurance Agency can help you get the specialized coverage you need for your specialized vehicles. We can help you protect your investment and let you get focus on having fun. • Collision coverage – pays for covered damage to your vehicle when in a collision with another vehicle or other object. • Property damage liability coverage – insures you against certain damages caused to another person’s property while operating your vehicle. This coverage may also provide you with a legal defense for such claims if another party files a lawsuit against you. • Bodily injury liability coverage – insures you against certain damages if you injure or kill someone while operating your vehicle. This coverage also may provide you with a legal defense if another party in the accident files a lawsuit against you. • Comprehensive physical damage coverage – pays for covered losses resulting from incidents other than collision – like fire, theft, or vandalism. Posted in Blog | Comments Off on Don’t forget the TOYS! Don’t go down with the ship!! Beck Insurance Agency can help make your time on the water relaxed and worry-free! We can insure your watercraft in Ohio, Michigan, Indiana, Tennessee, Georgia, or Florida. We will find you comprehensive protection that protects you, your friends and family, your watercraft and your boating equipment. The average boat costs less than a dollar a day to insure. You’ll enjoy being on the water even more when you aren’t worried about your safety, the safety your passengers, or your investment. Do you know what to look for in a watercraft insurance policy? Beck Insurance Agency can help you determine the right amount of coverage to meet your specific needs. Just give us a call today at 419-446-2777 to get started. Here are some items you’ll need to consider when shopping for boat insurance. Medical payments coverage will pay for the cost of needed care that is the result of a boating accident. This coverage is usually available from $500 to $10,000 and covers you, your passengers, and even your water skiers/tubers, regardless of who is at-fault. Your policy can provide coverage for many personal effects, including clothing, jewelry, cell phones, scuba/snorkeling and other sporting equipment, and fishing equipment. Limits vary by state – check with Beck Insurance Agency for information. Personal effects coverage does not include jewelry, watches or furs. Posted in Blog | Comments Off on Don’t go down with the ship!! But for some families, the holiday is a nightmare. Homes each year in Ohio are damaged by wayward fireworks. Thousands of people are injured in accidents. At Beck Insurance Agency, we want your holiday to be happy, but also safe. So here are some tips to help you protect yourself and your property on the Fourth. • To minimize the risk of injury, don’t use consumer fireworks. Attend a public display conducted by professionals. • If using consumer fireworks, always follow instructions. Do not attempt to re-light “duds” or create homemade fireworks. • Never let children handle or light fireworks. Even sparklers, which burn at more than 1,000 degrees, can cause third-degree burns. Kids under the age of 15 account for approximately 40% of fireworks injuries, according to the U.S. Fire Administration. • A responsible adult should always be present when children – even teenagers – are around fireworks. More than half of fireworks injuries happen to those younger than 20 years old. • According to the National Fire Protection Association, the best way to protect your home is to not use fireworks at home. • Remember, fireworks can cause grass fires and other types of blazes as well. Make sure you light fireworks in a safe area, away from homes and buildings, as well as other combustible material. Keep a fire extinguisher nearby in case of emergency. • Look out for tree limbs or bushes that could catch fire. Trimming vegetation to keep it away from your home is a good idea anyway, but it could save you from a catastrophic fire on the Fourth of July. • If your gutters have accumulated leaves, pine needles or other flammable material, clean them before using fireworks near your home. • Finally, if you won’t be home on the holiday, ask a neighbor to keep an eye on your house if others in your neighborhood will be using fireworks. With some common sense and planning, the Fourth of July can be both safe and enjoyable for everyone. Whether you’re staying at home or heading elsewhere, we hope you have a wonderful time celebrating our independence! Am I covered while renting a car? A common question presented to our staff is….”does my auto policy cover me while renting a car?” The answer to that is yes, and no. The coverage that you carry on your own auto policy usually does extend to a rental car. The same liability limits apply, and if you carry full coverage on at least one vehicle, that coverage and your deductibles will apply to the rental as well. If you do not have a vehicle with full coverage, you would not have that protection on the rental vehicle. Here is where things can get sticky. “Replacement cost requirements” Auto insurance policies cover your vehicle for actual cash value which is basically “book value”. So naturally if your vehicle is several years old, with 40,000 miles on it the actual cash value is much less than what the original cost new. There have been some rental car contracts that made you responsible for not only the cost new, but the cost new of the newest model available. This is an obvious gap in coverage. “Loss of Use” If you damage a rental car it may be out of service for a period while undergoing repairs. The rental company could lose income while that vehicle is unavailable. Most insurers will pay for loss of use as long as the rental company has no other vehicles available for rent. If they have other vehicles sitting there idle, they are not actually losing any income therefore insurance would not respond. It is advisable to ask under what circumstances you would owe for loss of use. “Diminution of value” This is the perceived loss of value of a vehicle after an accident even after being fully repaired. Most rental car companies will estimate the amount of these losses and charge you for them. Some auto insurance companies will pay these losses, some will not. For this situation, consult your agent or insurance company. So I should buy the rental car company’s insurance, right? While you certainly can please note that this “insurance” that they offer is not insurance at all. It is not regulated by any department insurance, and is merely a revised (friendlier) contract….with many, many triggers that void the insurance or exclude coverage. Triggers could be driving on an unpaved road, taking an antihistamine, and many others. I am not suggesting that this is how as all rental car companies do business….most do not. Just be aware that many do. So what to do? The best thing is to check with your car insurance carrier to see how they handle each of these issues, then when booking your rental reservation ask them how their contract responds to these as well. If you don’t like what they tell you, or they don’t know, ask for a copy…or move on to the next one. As long as you are armed with this information you should be able to find one you are comfortable with, so you can have a worry free vacation. Posted in Blog | Comments Off on Am I covered while renting a car? 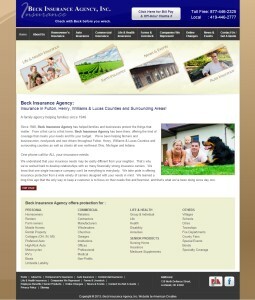 Beck Insurance Agency, Inc. is happy to officially announce our new, updated website. We hope that this website will make the information on our insurance lines as accessible and informative as possible to our current and future clients. The quote/contact form allows you to contact us with questions or get quotes for new and additional insurance. The change request form will allow you to submit your information at any time of day or night. We have also included a direct link to online bill pay for the carriers that offer to be paid directly. We appreciate your input so let us know what you think. Posted in Blog | Comments Off on New Website!